“The U.S. will continue to spread lies – lies that have been proven false. The Lebanese in Venezuela have political freedom and Venezuela, in order to defend itself, does not need cells of anyone in the world. We will defend ourselves,” he added. He was responding specifically to Pompeo's Wednesday night interview with Fox Business wherein Pompeo implied the Maduro government was allowing the US-designated terror group to have a base of operations in Venezuela. We noted previously that what looked like an apparent failure to come up with an even remotely original narrative for another imminent American intervention, Pompeo asserted during the interview that "Hezbollah has active cells in Venezuela." He said that "people don’t recognize that Hezbollah has active cells” in the country, adding that "the Iranians are impacting the people of Venezuela and throughout South America. We have an obligation to take down that risk for America" he said further, as quoted by the Independent. 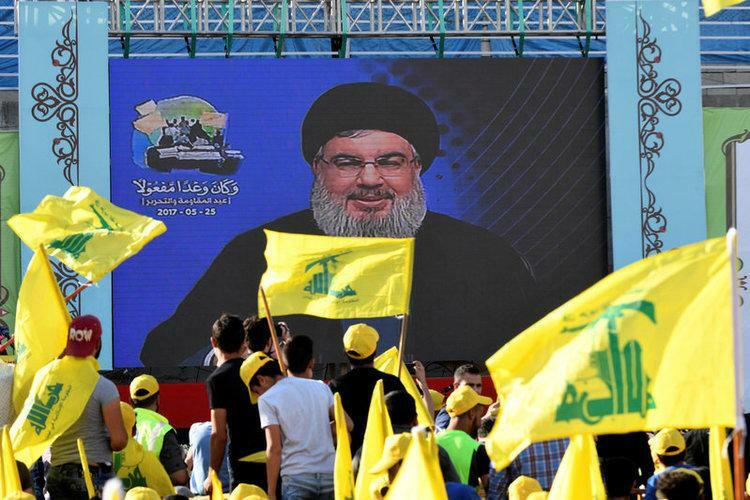 Ironically or not, when it comes to Hezbollah, which the US has long considered a terrorist organization, sanctions on people in Venezuela linked to the Iranian-backed Lebanese group have been imposed as far back as the George W Bush administration, seemingly in anticipation for just such an event. Washington also believes Latin America has served as a base of fund-gathering for the group for some years, including through drugs and money-laundering schemes, according to past reports and to justify said close link, the media notes that Venezuela’s former president Hugo Chavez formed tight links with Iran under Mahmoud Ahmedinejad’s leadership. Supposedly that is a sufficient and necessary condition to conclude that Maduro is now harboring terrorists, which in turn would require a US "peacekeeping" mission. And just so the US population does not lose plot, later in his Wednesday evening Fox interview, the former CIA director described Maduro as "evil" and insisted the US was intervening on behalf of ordinary Venezuelans who have suffered under his rule. In other words, yet another "humantiarian" coup under US auspices. “We should not permit a country in our hemisphere to treat its own people this way,” he said, despite Washington’s – and the CIA’s – dismal track record of fomenting government overhauls in the region. "American values – America’s, not only our interests but our values – are at stake here." But it wasn't clear just which values he was referring to.